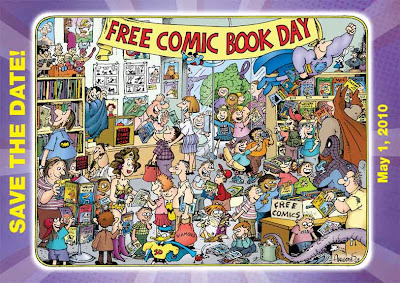 Free Comic Book Day – one of my favorite days of the year. FCBD is just what it says, if you can fathom such a thing. Customers may walk into participating comic book stores (three-fourths of my local comic shops participate) and walk out with a free comic book(s). I go over year, hit all the stores, and come back with loads of comics that I can give away to kids during presentations, local speaking engagements, or at the end of the Hall of Heroes comic book club the following year. I encourage students to go to the comic shops themselves and get their own comics. I even provide names and addresses of my local stores to help students and parents. 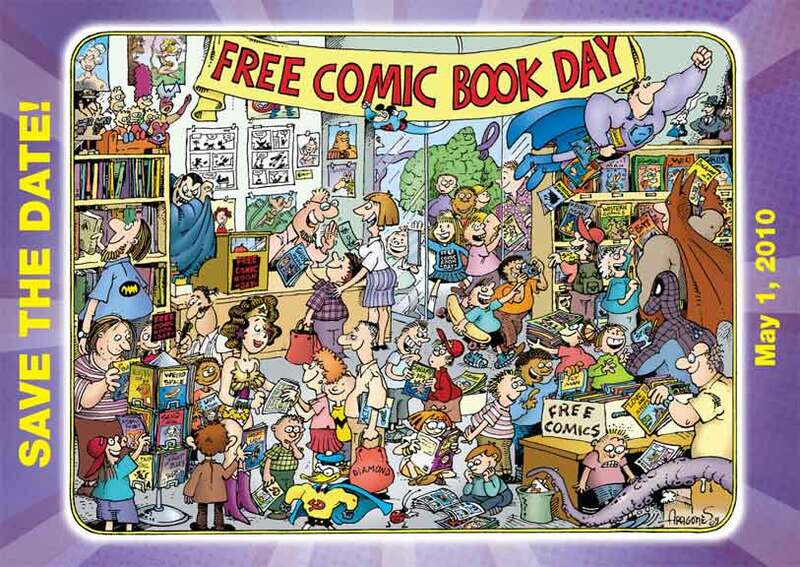 Click here to see a list of the comics offered to comic shops for FCBD. (Not all shops will order all titles.) As you can see, there is a strong emphasis on kid-friendly comics in order to build the upcoming consumer. Every teacher knows the importance of reading and research clearly demonstrates the significance of readers having choice in what they read as it applies to reading motivation. According to my research I did on my thesis, comics rank high among kids. All of this is solid reason to encourage students of all reading levels to pick up comics, especially during FCBD.